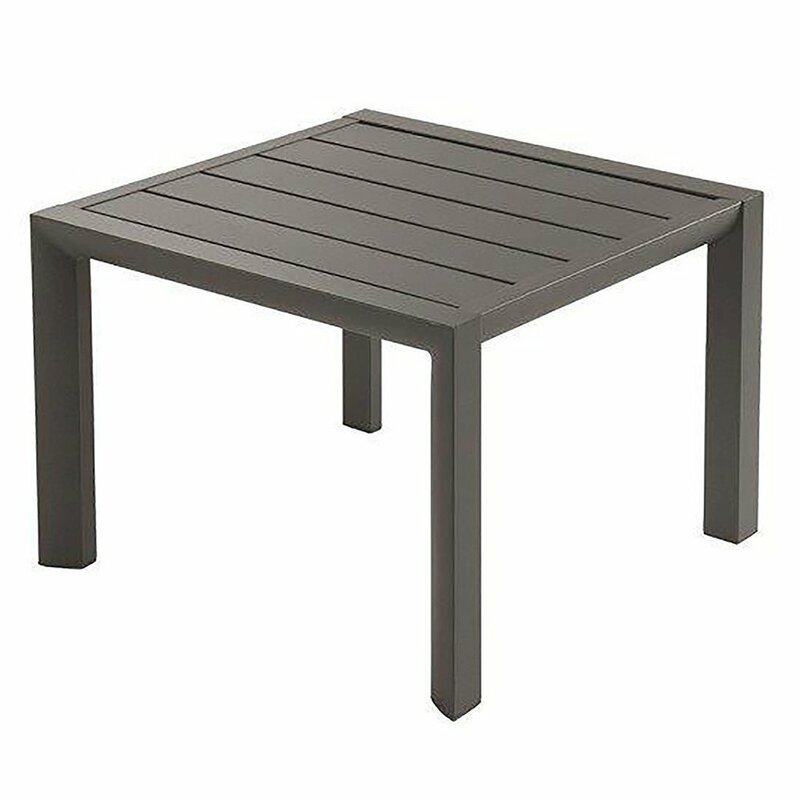 Our 20" Sunset Square aluminum low side table is a great companion to any pool furniture, especially the sunset chaise lounge. This side patio table is made from durable, rust-resistant aluminum beautifully finish with lacquer. 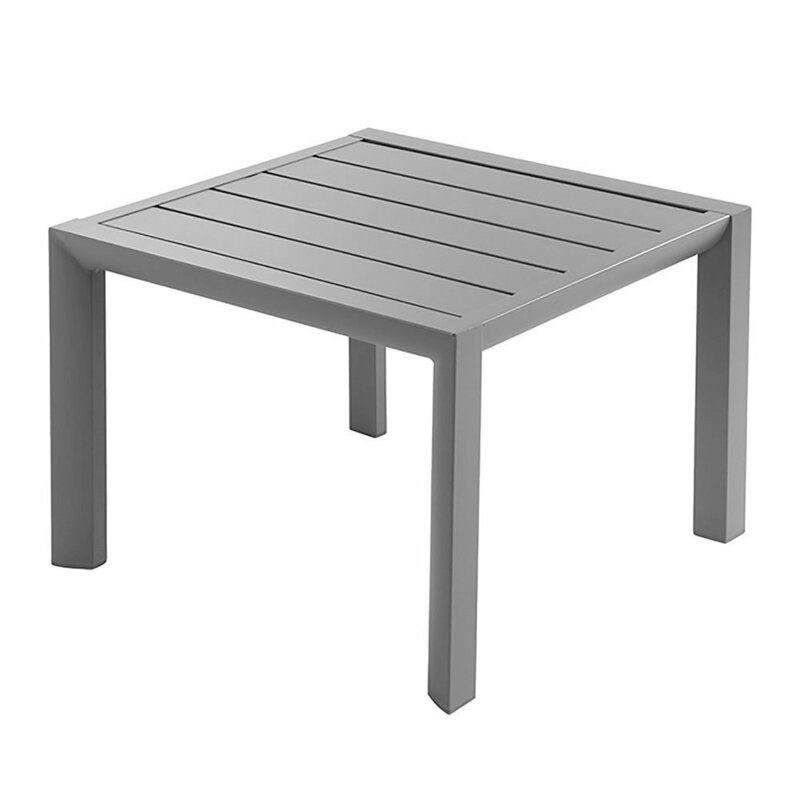 Features an open slat design that allows excess to flow down and off the table top. 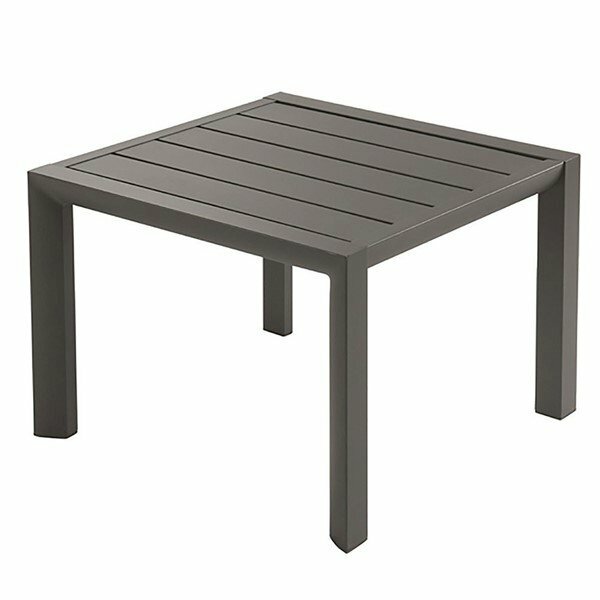 Supported by a 1-year commercial warranty. Requires easy assembly. Receive a quantity discount on the complete Sunset Collection by contacting Furniture Leisure, today!